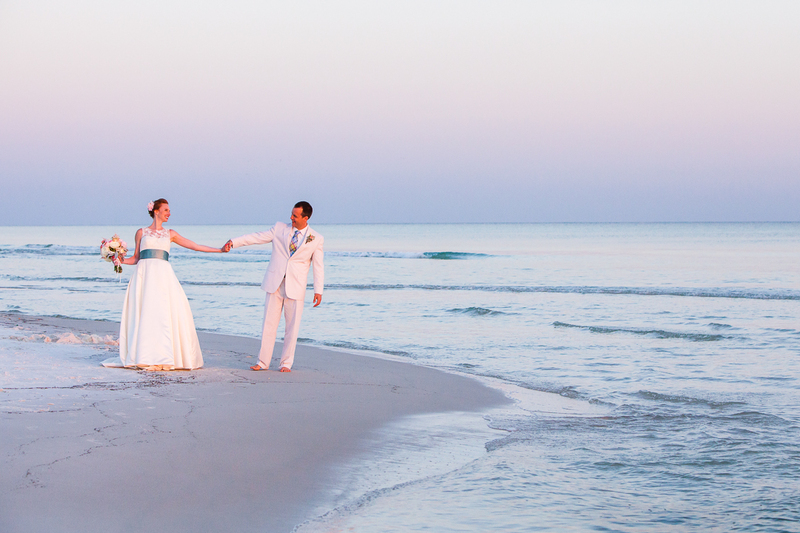 If you’re planning your big day on the beach, then you have come to the right place. 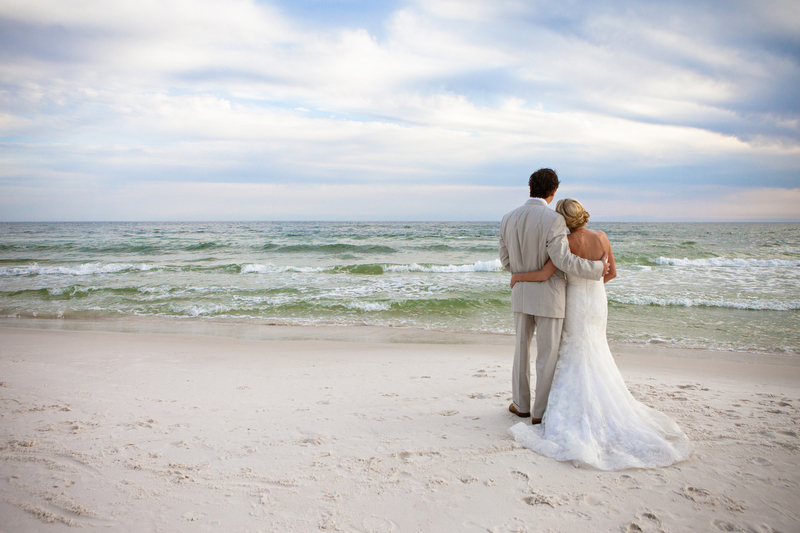 We have 10 tips and tricks every bride should know for planning a wedding by the sea. No need to go all out with extravagant decor for your beach wedding. Keep it simple and let the ocean serve as the backdrop, that’s why you’re there anyway right? Every beach might have different rules and regulations. There are certain permits required for beach weddings and receptions, so check to make sure you have all of the required authorization for your event. You never know what the weather will do, so it is always best to have a backup plan. Make sure to check for weather updates. The Florida coast is known for frequent rainstorms, so plan ahead and rent a tent or move the ceremony indoors. Believe it or not there will be waves on the ocean, and they will be loud. It will be hard for your guests to hear. Make sure your officiant has a microphone so that everyone can listen. Also, check to make sure that electricity will be available to set up speakers, and any other sound equipment you want. You will definitely want some great pictures with just you and your loved one, so plan out a time to get pictures taken. 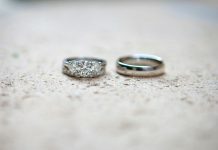 Coordinate with your photographer, or wedding planner if you have one, and set up a time before or after the ceremony. Dusk is a great time to get pictures on the beach with the sunset in the background. Lets be real, no one wants to trek across the sand with hot heavy shoes on. Most guests will want to slip off those sandals. Set up a designated area or basket for guests to put their shoes. One thing is for sure about a beach wedding, it will be hot. Opt for a more light and casual look for the wedding. Too many layers will be hot and uncomfortable. The key to a successful and smooth wedding is the wedding planner. They will make your life SO much easier and a lot less stressful. They do everything from contacting vendors, to setting up, and coordinating the whole the day. No matter what problems come up, just remember, some things are out of your control. There will almost always be a problem of some sort, and sometimes there is nothing you can do about it. Just relax, and enjoy your day! 10. This one’s a biggie … Don’t have a beach wedding! Yep, we said it. If all of these tips are having you second guess your location, don’t worry, there are plenty of indoor venues to choose from. Some even come with an ocean view, and a lot less stress!